Conor O'Shea says in-season breaks and controlled game-time in English rugby is a "great move", which can further opportunities for younger players. The RFU has provided improved player welfare directives, which come into effect from the 2019-20 campaign, with particular emphasis on protecting England's internationals during a demanding schedule which also includes the 2021 British and Irish Lions tour of South Africa. Players will be able to start no more than 30 games, reduced from 32, or be involved in more than 35 matches a year and former London Irish and Harlequins head coach O'Shea believes the decision is common sense. "I think that it is a move that had to be made. The game is becoming more and more physical and something has to give somewhere," Italy head coach O'Shea told Sky in Italy. "The big question I suppose will always be, having worked in the club scene for a long time, clubs have to be profitable as well. Will Greenwood and Rupert Cox speak to Sir Ian McGeechan, and Gail Davis chats to Adam-Ashley Cooper in Japan. "If there is give in terms of creating time within the season - does that mean less competitions and will the players take less money? Doubtful, so I think there are a lot of things in the cake that people have to look at. "I think it is a great move. I look now and sometimes I almost wince when I see the physicality, the lines and the bravery of these players." In the southern hemisphere and Ireland, many of the leading international players already play a third fewer games and O'Shea believes the changes to the English domestic game could lead to less imports from overseas and force a re-think from club hierarchy. "You look at the Irish system and how they control and regulate without being less competitive. What it will force people to do maybe, by controlling game-time, is not to go for the ready-made option overseas and maybe give some young players a chance. "There are only so many young players you can have in a squad and all of them can't be the top earners. "There has always been a great group of academy players in England and maybe this will another way to kick-start that, as long as they stick to it and it is not just an idle promise and they do manage the players' game time." 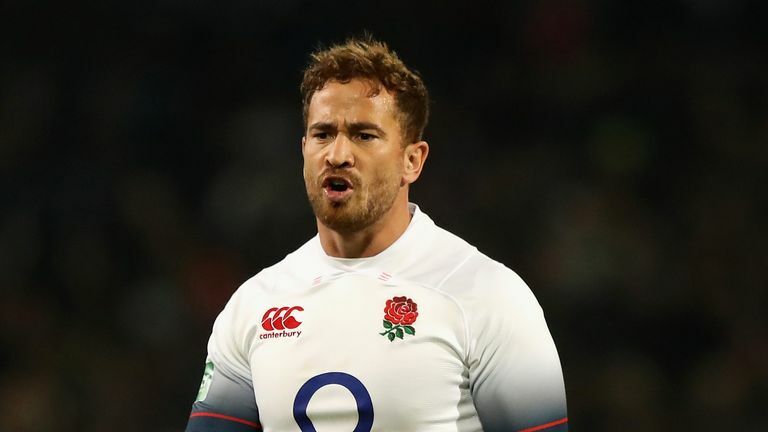 Away from the requirements in the rugby structure in England, talk continues over Eddie Jones' decision to omit Danny Cipriani from England's squad for the autumn internationals, despite his Gallagher Premiership form for Gloucester. "I watched the impact he had at Sale, at Wasps and now he is having at Gloucester," O'Shea said about Cipriani, who Jones described as England's 'third choice' fly-half. "He is just an outstanding rugby player. But so is George Ford and Owen Farrell - that is the depth they have. "Everyone has an opinion and I wouldn't even begin to second guess what Eddie Jones' opinion should be. He wanted two fly-halves and Danny Cipriani is No 3." "I think Cipriani is a wonderful rugby player, he does some incredible things but I have known Ford and Farrell and Cipriani for a long time. Eddie has gone for the top two in those [Ford, Farrell]. Who is to second guess that?" #Followtherose this autumn with all of England's Tests live on Sky Sports throughout November. The action starts on Saturday 3 November against South Africa before clashes against New Zealand, Japan and Australia.